While there is definitely an art to a well-conceived and carried out initial breast surgical procedure, surgeons are well-intentioned, and while the optimal surgical outcome is the goal, occasionally factors may contrive to require breast revision. It is even more important when undertaking revision breast surgery, that patient and surgeon communicate well, that the surgeon listens carefully to the patient's concerns, but also that he or she have extensive skill and experience in the techniques required to undertake a successful revision. Having trained at the prestigious University of Texas Southwestern in Dallas, Texas, which has been named the best plastic surgery residency program in the U.S. the last 10 years, Dr. Samuels trained with the world's leading breast surgeons. She has also been invited to serve as clinical investigator to brand name breast implant manufacturers and has access to shaped, cohesive "Gummi-bear" implants that only a few surgeons in the country can utilize. Some of these devices prove to be very useful in the revision breast implant pocket. With decades of this type of experience in first-time as well as revision breast surgery, Dr. Samuels is uniquely trained and positioned to assist the patient who faces a revision of her breast surgery, and as a result, she has been sought out by women from all over the U.S. for help in this regard. There are several different kinds of FDA approved textured, shaped breast implants on the market now which can be perfect for the revision patient, because they frequently assist the surgeon in "controlling the pocket". There are also two additional devices which remain investigational and restricted in use to few surgeons in the U.S. that also are frequently beneficial in revision cases where more height and projection may be needed from the implant. Although widely used outside the U.S. in Canada and Europe, these investigational devices are available to fewer than 30 surgeons in the U.S. who have had additional training in care of the revision breast implant patient, and these devices are available only to revision patients of approved surgeons. Dr. Samuels does not believe that one breast implant fits all primary breast enhancement patients, and there certainly is not one single implant that fits all revision patients. The list below summarizes the available breast implants. You may also wish to refer to the Breast Augmentation page of our website for more information or call us for a personal consultation with Dr. Samuels. We would also like to refer you to the links to our blog which deal with the Quick Recovery Technique and Revisional Procedures. Breast revision surgery, even given its increased complexity for the surgeon performing the operation, isn't typically any harder for the patient to recover from, with the exception of the fact that surgical drains are typically used for a period of ten to fourteen days after surgery. These drains are easily cared for at home by the patient and easily removed in the office, but otherwise, recovery times closely resemble those of primary breast augmentation or lift since Dr. Samuels uses the Quick Recovery Technique in all her breast implant surgeries. 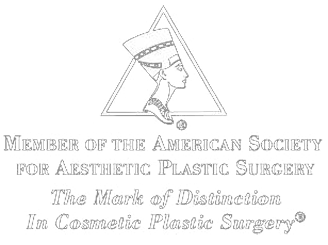 Additionally, Dr. Samuels has additional experience in the use of fat grafting techniques, and the use of acellular dermal matrix substances, which are occasionally helpful in a revision surgery. As with primary breast augmentation, cessation of nicotine usage six weeks prior to surgery as well as after, is important for optimal healing. Dr. Samuels and her staff will spend appropriate time in consultation and in your pre-operative appointments to answer all of your questions regarding your surgery. Revision breast surgery is an outpatient procedure performed at Baptist Eastpoint Surgery Center (where Dr. Samuels is an owner and special pricing is available), or at Baptist Hospital East, Jewish Hospital East, or Norton Brownsboro Hospital. If an investigational breast implant is recommended for you, the surgery will need to be performed at Baptist Hospital East, and you will need to agree to be enrolled in a special investigational study. There are some additional advantages to being included in these implant studies, and these advantages may include financial reimbursement for study follow-up visits, as well as periodic imaging with the use of the more expensive breast MRI for implant surveillance. Paperwork necessary for study inclusion will be covered with you in an extra pre-operative office visit if you qualify. Other than the difference in surgical technique and related nuances that any surgeon faces who is willing to assist the revision breast surgery patient, there are no real differences in healing period or wound care experienced by the revision patient beyond that of the typical breast augmentation, mastopexy or augmentation-mastopexy patient. During a very extensive and thorough pre-operative office visit, Dr. Samuels and her staff review all aspects of the post-surgical care and recovery period, including drain and wound care, as well as the additional anxieties that all revision patients understandably experience. Having helped many patients through a revision surgery, we acutely understand what the patient is going through, and we also are committed to the extra time it might require to answer all of their concerns and questions.